Police say a Clinton man failed to yield while turning off U.S. Route 201 onto Interstate 95, heading south. 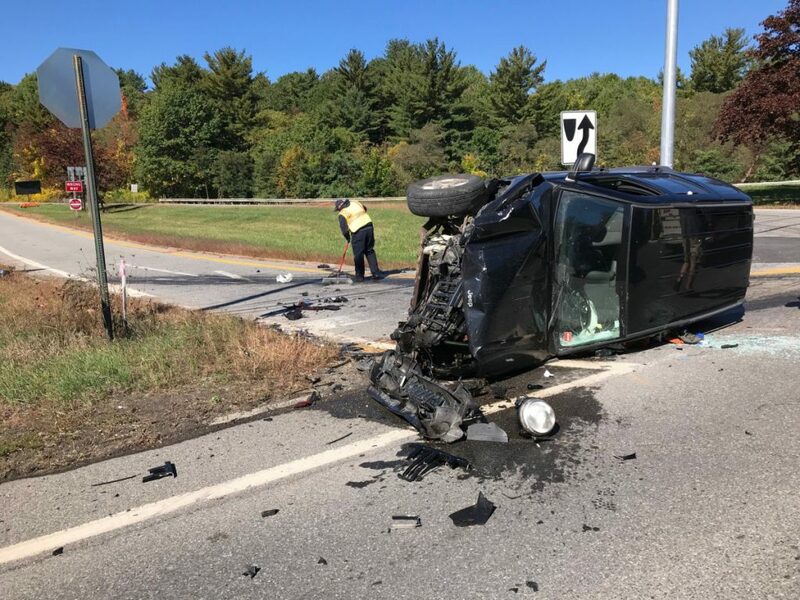 FAIRFIELD — A Fairfield woman was taken to the hospital with injuries that were not deemed life-threatening Friday after a two-vehicle crash on U.S. Route 201. 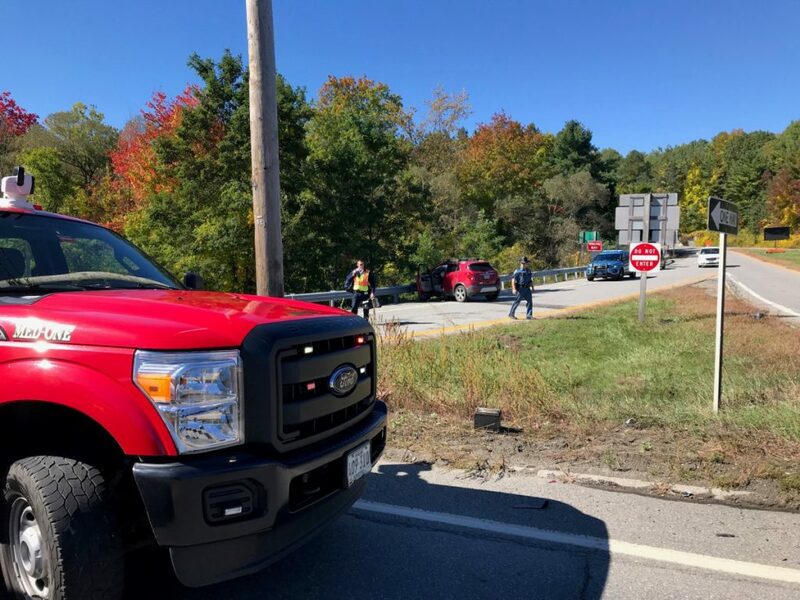 Joe Chretien, of the Maine State Police, said Richard Ware, of Clinton, was driving north in a black Jeep Liberty when he failed to yield to oncoming traffic while turning left onto the Interstate 95 southbound entrance ramp. Rosemary Hagerty, of Fairfield, was heading south on U.S. 201, and her red Buick SUV collided with Ware’s vehicle, Chretien said. Ware’s vehicle wound up overturned on its side at the intersection of U.S. 201 and the ramp, while Hagerty’s vehicle continued onto the I-95 off-ramp and struck a guardrail. Hagerty was taken to the hospital, and Ware suffered some bruising on his legs, according to Chretien. Both vehicles sustained significant damage and needed to be towed from the scene. Chretien said the crash investigation is ongoing, but he does not expect charges to be filed. “This is a traffic accident. Luckily, nobody was seriously hurt,” he said.